Building an interview roadmap is a pivotal professional development tool. The interview roadmap is underutilized by many tech-savvy millennials looking for their first job. This road map is critical for millennial and GenX engineering, IT and business professionals targeting their next career moves. Developing an interview roadmap is a useful tool for evaluating post graduate academic programs and institutions. An interview roadmap targets how you intend to fit into the future workforce. That workforce is multigenerational, cross-functional, collaborative and data-driven. Without this roadmap as your guide, you will continue to feel like a square peg trying to fit into someone else’s round hole of a job description. Professional return-on-investment: Why should I (the interviewer) invest my company’s / institution’s time, money and professional resources on you, the person I am interviewing? Engage Interviewers by interviewing them. Interviewing is a two-way street. You have an equal opportunity to ask questions. The dynamics of most interviews are such that the person being interviewed is passively waiting for interviewers to ask them questions. The interviewee hopes they have prepared sufficient responses. Some folks wing it. Ouch! An interview roadmap turns the tables on status-quo interviewing processes. Differentiate yourself. Interview the interviewers. 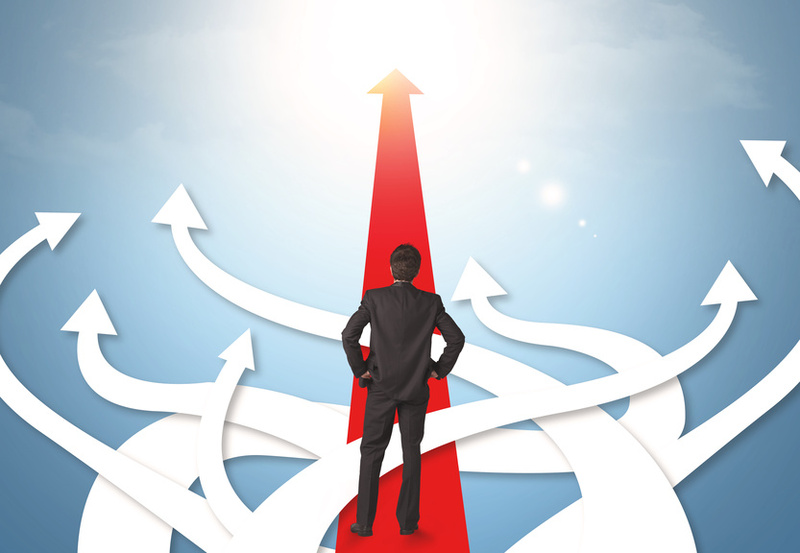 Your 10 interview roadmap questions are all about that company or that institution. You are not pitching them on how great you are. You are telling them what a tremendous contribution you can make to the story of Who They Are and Where They Are Going. Pre-interview research is critical to the quality, and outcome, of your interview. Pre-interview, you access source material about the company, their philosophy, their successes and failures, their track record. Research every individual in the C-Suite and VP level. Research every professor involved in the core graduate curriculum at that institution. Develop your understanding of the context and persona of the organization and institution. Go far beyond what they say on their website and marketing and public relations materials. Thoroughly research their programs and the people leading those initiatives. You cannot become expert about them when you rely on Googling, reading Wiki summaries and looking at the LinkedIn profiles only of the individuals interviewing you. Create a set of expectations of how that academic or work ecosystem creates business value for their own customers and students. Who are they (really), what are their core values, what is important to them, why are you committed to contributing your own resources of time, money, passion, commitment and growing professional expertise? Compare Your Roadmap with Theirs: before, during and after your interview. Remember, those 10 interview roadmap questions are all about that company or that institution. You are not pitching them on how great you are. You are telling them what a tremendous contribution you can make to Who They Are and Where They Are Going. Confidently ask honest, sincere, probing questions. Determine whether the marketing communications and website hype that you’ve been reading is aligned with the impressions you’ve gleaned from your deep research about that institution or company. What you really want to accomplish during that interview is an enhanced depth of mutual understanding. Your interviewing goal is to get a sense of workplace dynamics. Real-time, how will that job, or academic program, feel on your mind, body and spirit? The interview roadmap tool allows you to compare and contrast how that organization’s or institution’s core values and culture marry up with your own idea of who you are, what is important to you and how you want to make a difference in the world personally and professionally. This tool is additive. You will continue to fine tune your interview roadmap as your professional experience, level of competence and personal and professional confidence increase due to the wise career choices you create for yourself. Be on the lookout for Parts 2 and 3 of this post over the next two weeks! Babette Ten Haken is a management consultant, professional development coach and the Founder and President of Sales Aerobics for Engineers®,LLC. Babette has one of the most distinctive voices in today’s workforce, professional development and customer success communities. She traverses the interface between human capital strategy for hiring and developing technical and non-technical employees focused on customer success. She catalyzes compelling strategies and processes for cross functional communication and collaboration. She is the author of Do YOU Mean Business?, her playbook of collaboration skills to drive revenue through your organization.